I used to live in Seattle. I remember how bad it was. 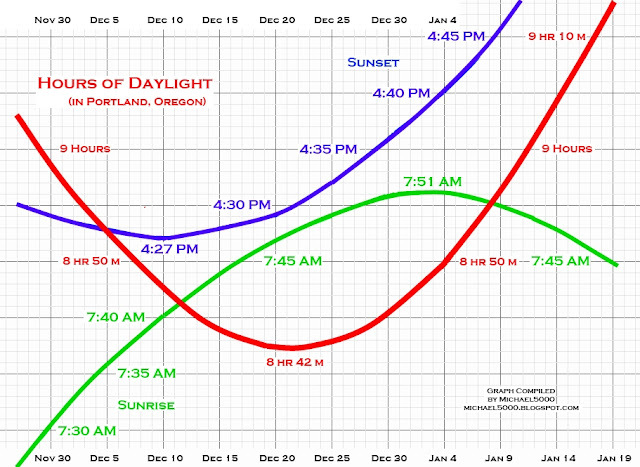 Sunset there happens as early as 4:18pm, Sunrise as late as 7:58am, and the days as short as 8:25:17. After growing up in the DC area (~~San Francisco's Latitude)it was quite a shock when "evening" started around 2:30pm. The summer is even more pronounced - the birds would be chirping and the sky lightening when I was getting out of the clubs to go home! They have a full 15:59:29 hours of summer daylight. From 5:11am to 9:11pm. 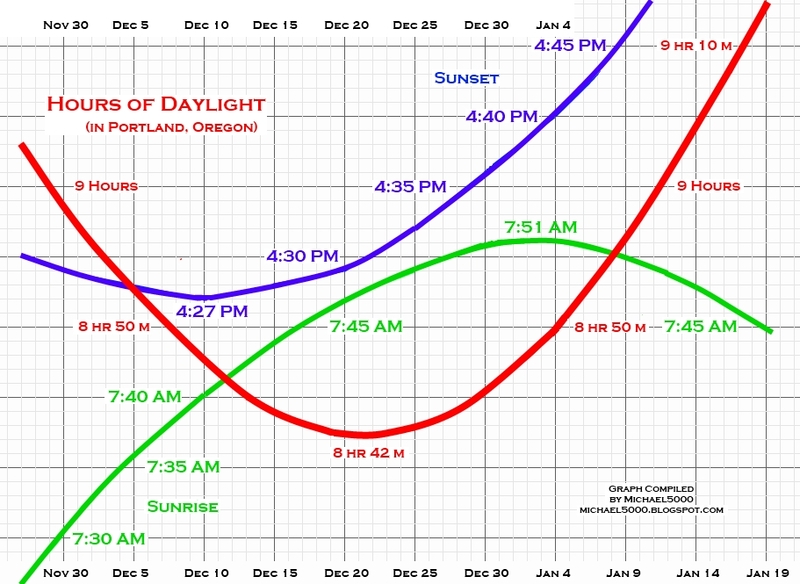 For whatever reason, in summer, sunrise earliest and sunset latest actually coincide on the 21st. Yeah, I remember once watching the sun disappear into the sea on the west coast of Scotland and looking at my watch to see that it was 3 p.m. But then it says here that my sister in Juneau will have -- had, rather -- sunset at 3:10.